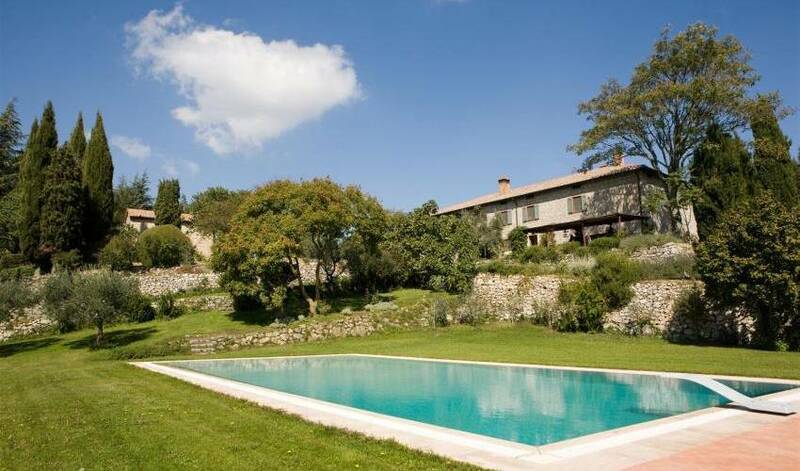 Villa 977 is a strikingly beautiful, restored country house that is part of a 1700-acre estate located in the Val d'Orcia region in southern Tuscany. 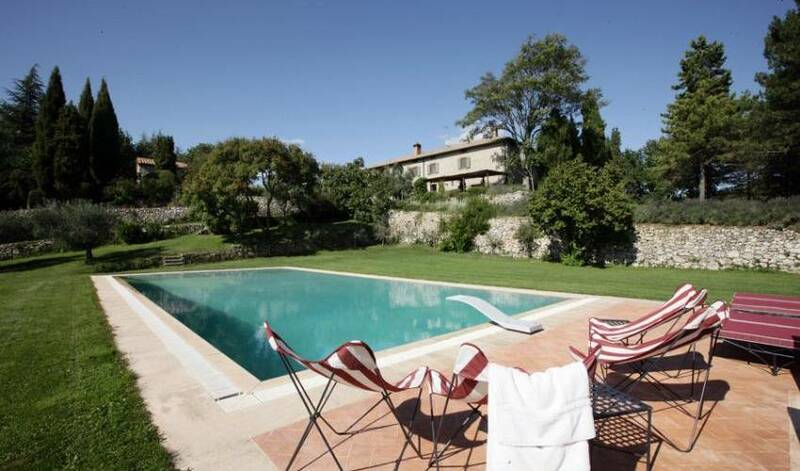 This extraordinary beautiful area of Italy sits between the land south of Siena and the borders of Umbria. Characteristic of Val D'Orcia are the villa's open, breathaking views of Mount Amiata, with the unchanged landscape reminescent of old master paintings. 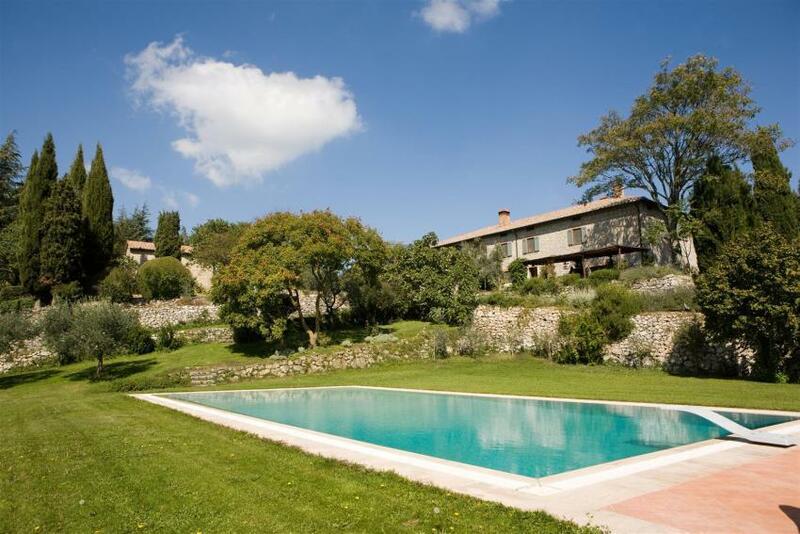 The nearby San Casciano dei Bagni, a beautiful, unspoiled medieval village, is just 10 minutes away by car and a rather well-kept secret south of Siena. This intimate, luxurious haven is ideal for private getaways and family reunions. 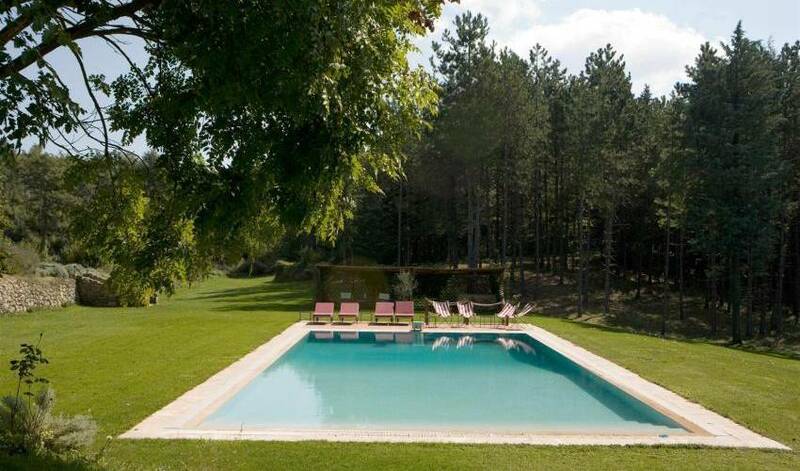 Larger groups can also rent a nearby Villa, which is part of the same estate. Ground Floor: 1 spacious twin/queen bedroom with private bathroom with tub with shower. 1 queen bedroom with large private bathroom with tub with handheld shower. Both bedrooms are accessible via separate garden entrances. First Floor: 1 master queen suite with private bathroom with tub and shower stall. Private suite with 1 twin bedroom, TV room with 1 single bed, and en suite bathroom with shower. 1 twin bedroom and 1 full bedroom share a bathroom with shower. Ground Floor: Spacious living/game room accessible via separate garden entrance. 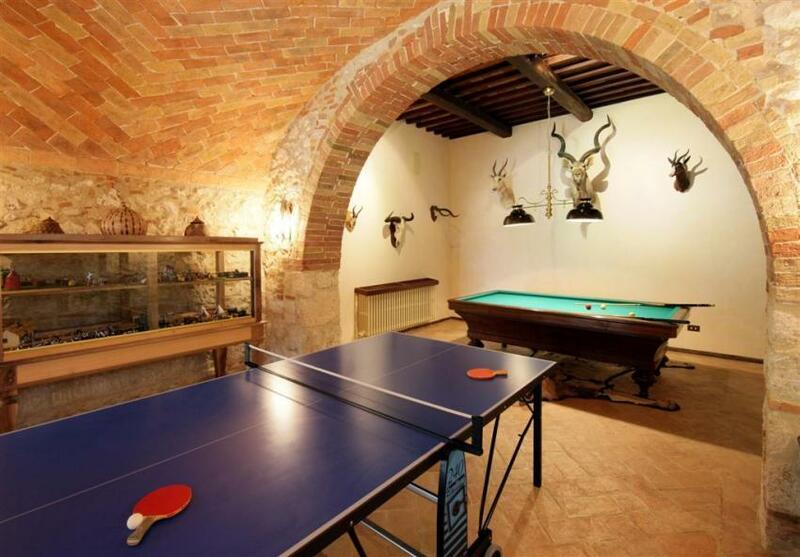 Billiard table, gambling table and dining area with open kitchen corner. First Floor: Spacious living room with fireplace. Elegant dining room. Small, fully-equipped kitchen. Study corner with desk. Sitting room with plasma, satellite TV. 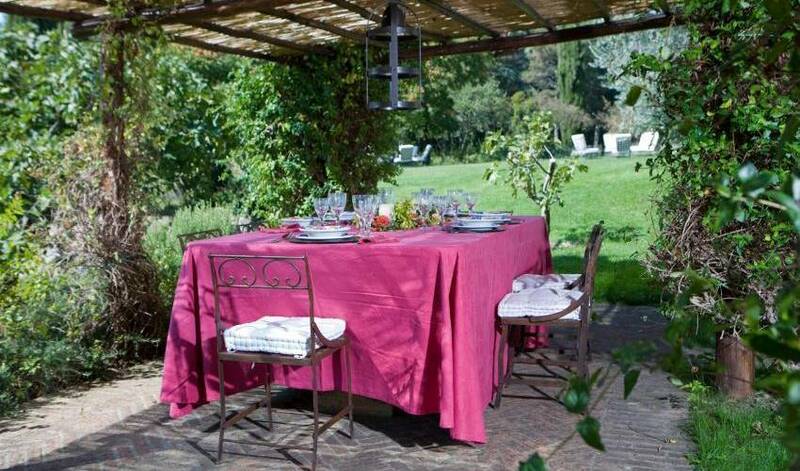 Private pergola for dining al fresco, an extensive lawn for lounging and private woods for long walks. 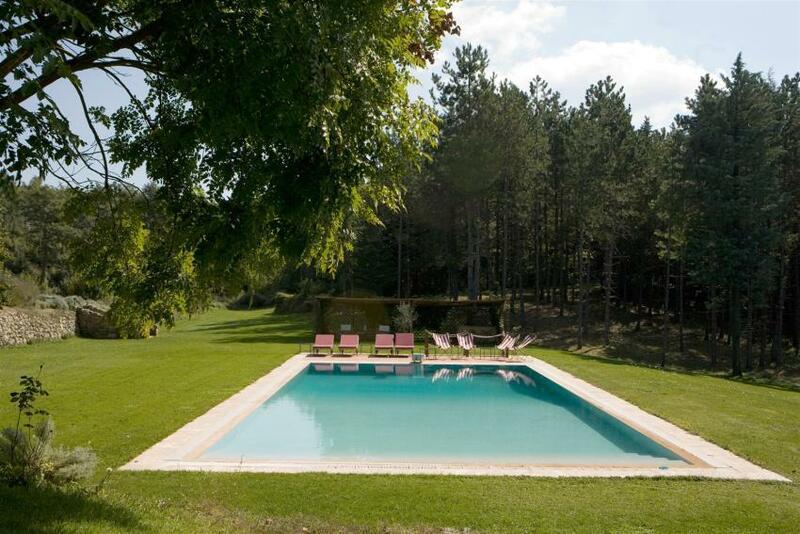 Very well-tended gardens, soccer field and majestic swimming pool. Additional guest bathroom off garden. Washer, dryer and ironing facilities on the premises at disposal of the guests. Fax, satellite TV, wireless internet connection, window screens (except in living room). There is also a very old chapel on the grounds. 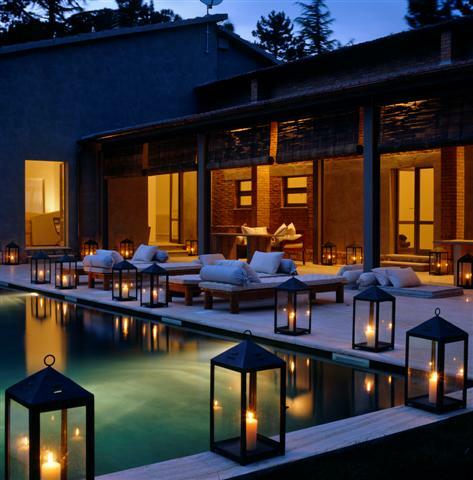 Villa 977 provides maximum comfort in a peaceful, refined and very private atmosphere. 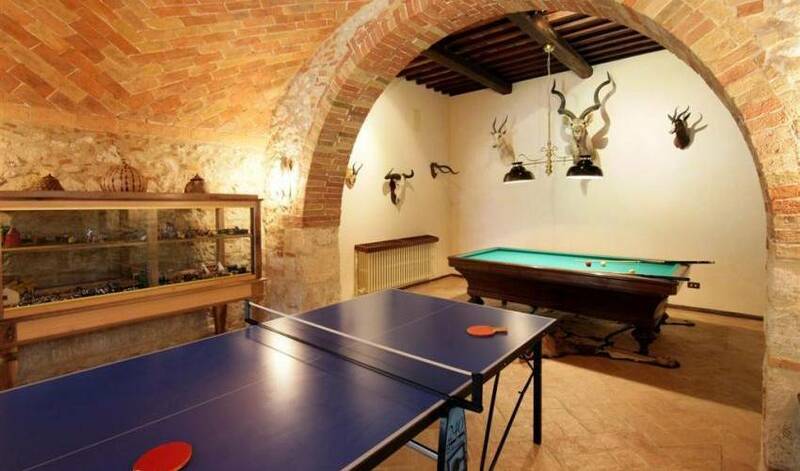 Guests can enjoy walks and bike rides through the property's private paths and visits to the nearby Montepulciano, Montalcino, and Cetona-famous for their history, cuisine and wineries. 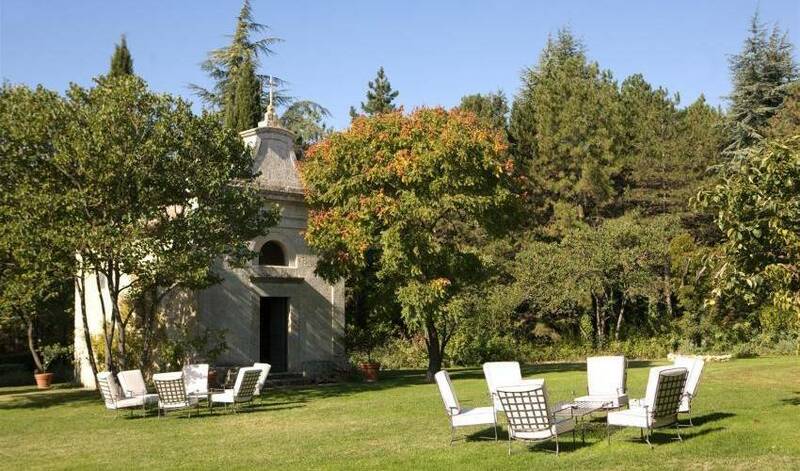 Also close is San Casciano dei Bagni-its best kept secret is an old Roman spa offering therapeutic thermal spring waters and beauty/health treatments. 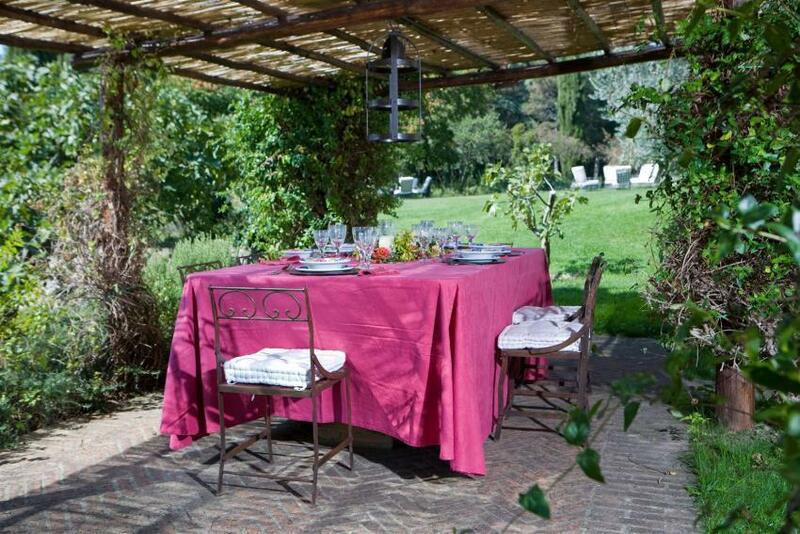 Enjoy typical local cuisine in this villa prepared by a Tuscan cook who has mastered the traditional culinary skills of the region. While other parts of Tuscany have developed industries that have done much for the economy but little for the landscape, the "Crete Senesi" area and the neighboring "Val d'Orcia" have largely remained true to their early agricultural vocation. Today this means local products of outstanding quality, made with traditional methods and skills that are handed down from generation to generation. The best-known of these are Montalcino's distinguished Brunello red wine and the Vino Nobile of Montepulciano, both of which are the perfect complement to dishes based on the wild game of the area: pheasant, quail, hare, and wild boar. Likewise, the Pecorino cheeses made with ewe's milk from the Pienza pastures are now in great demand. One of the best food stores in the Pienza area is La Cornucopia (2 Piazza Martiri della Liberta) where you can find sweets, honey and cheeses. Taverna del Grappolo Blu Tasty home made pastas and excellent meats to accompany the warm, rustic interior and friendly service. English speaking staff. Ristorante il Moro Home-style cooking, popular with the locals. Latte di Luna Excellent local cooking: homemade pasta and meats. Popular with the locals for the roasted pig. Ristorante Daniela Tuscan cuisine at its best and a favorite to locals. Pizzeria La Fornarina Great pizzeria and bakery for groups traveling with children. Mondo X, Ristorante La Frateria, at Convento di St. Francesco One of the most elegant restaurants in the area with prix fix and a la carte menus. 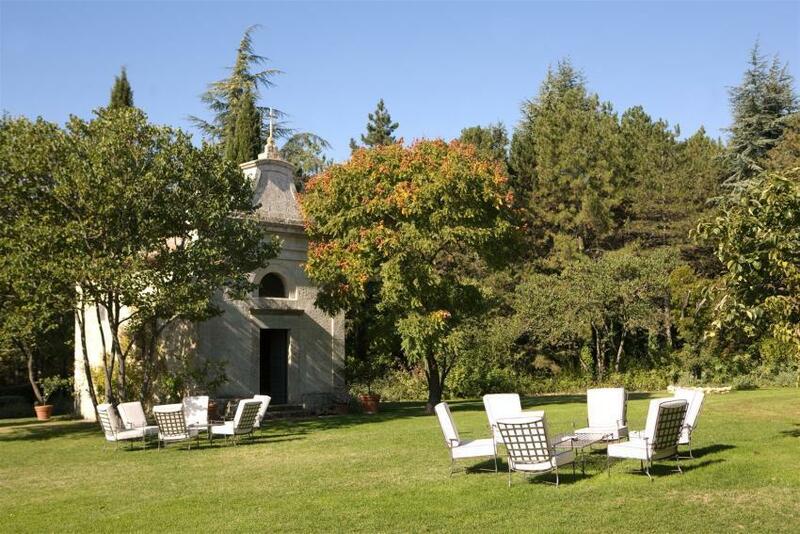 Beautifully set in a historical convent. Easily €100 per person. La Grotta A classic restaurant with refined foods and a great selection of Vino Nobile wines. Osteria Da Gagliano Excellent Tuscan cooking in a classic small Osteria.